We eat Mexican at least once a week. I love making burritos and enchiladas but I don’t like how many calories come with the flour tortillas. I’ve found the best way to have all the flavors of a burrito with less calories is to make a tasty burrito bowl. 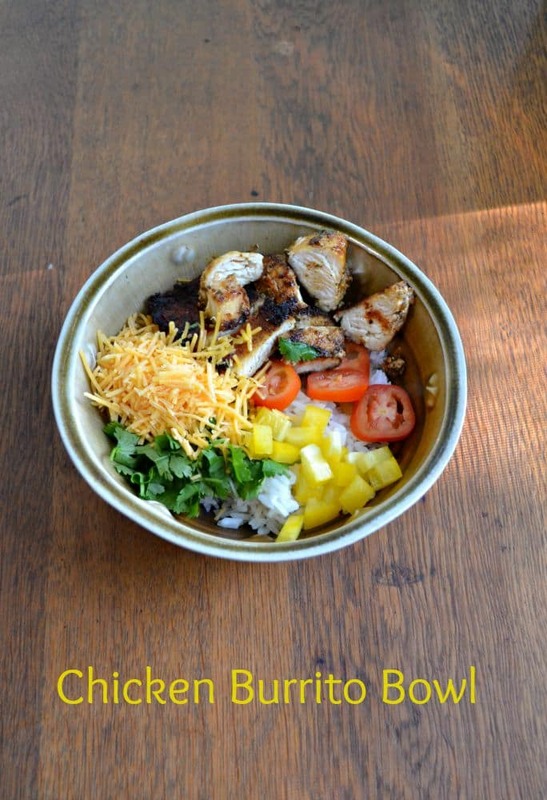 I like making chicken burrito bowls and this recipe has the best rub I’ve had on Mexican style chicken. It’s spicy and so flavorful with every bite. It would be great to put on a steak for steak carnitas as well. 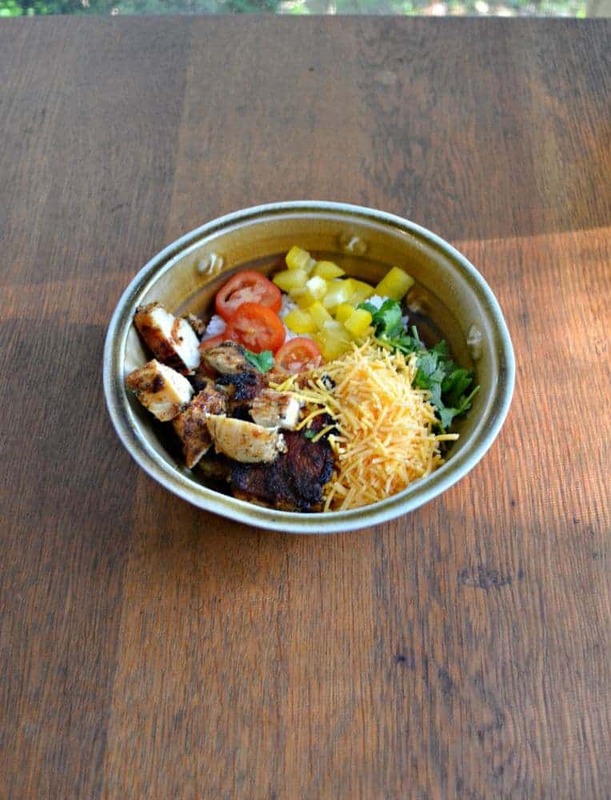 The chicken burrito bowl starts with a layer of rice in the bottom of a bowl and then is topped with the spice rubbed chicken and all your favorite burrito toppings. 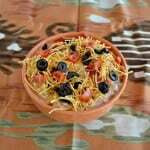 I also made a tasty avocado cream sauce to put on top of the bowl which added a cool, refreshing flavor to the bowls. If you don’t like rice simply put the chicken and toppings on lettuce for a chicken burrito salad. You can then thin out the avocado cream sauce and turn it into a dressing for your salad. 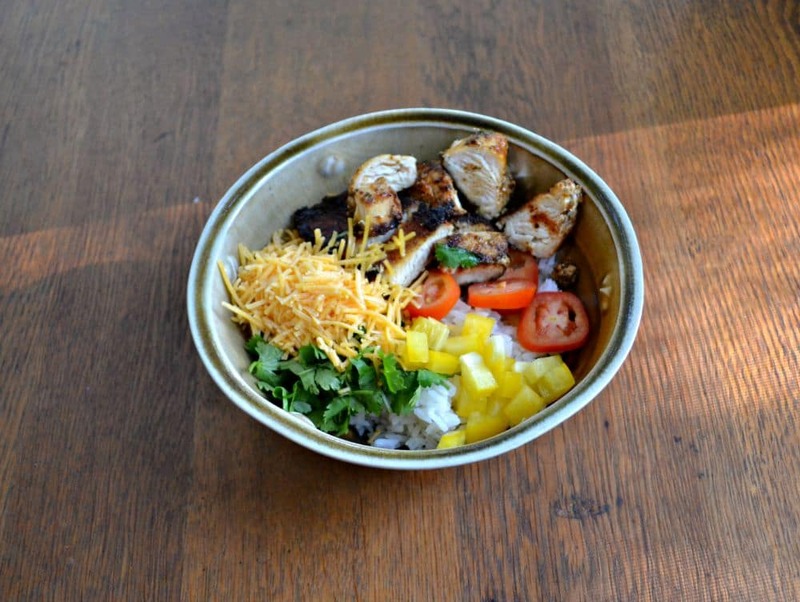 Chicken burrito bowls are made with a spicy and flavorful rubbed chicken on top of rice and then topped off with your favorite burrito toppings. In a small bowl combine 1 tablespoon olive oil, cumin, chili powder, paprika, Arizona seasoning, salt, and pepper. 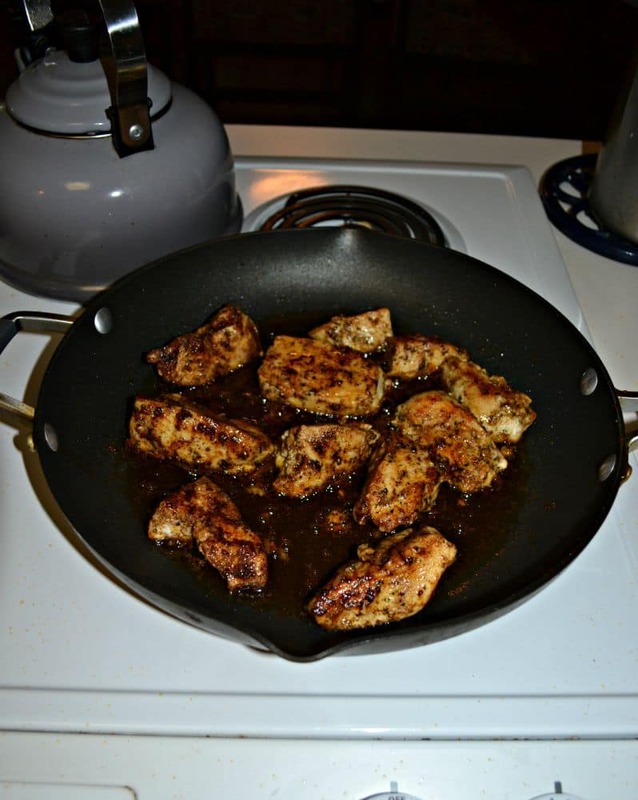 Rub the spices over chicken breasts and refrigerate for 1 hour. When ready to cook add the remaining olive oil to a skillet and heat over medium heat. 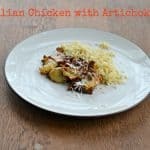 Add the chicken breasts and saute for 10 minutes or until cooked through. Remove to a cutting board and slice the chicken. Meanwhile, combine all of the ingredients for the avocado cream sauce in a food processor and process until smooth. To make the bowls put ½ cup of rice in the bottom of 4 bowls. Top with the chicken, lettuce, tomatoes, cheese, salsa, and tortilla strips. Drizzle the bowls with the avocado cream sauce. 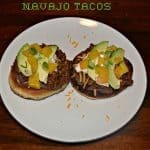 what is arizona spice blend and where can I find it? It’s my FAVORITE Mexican spice. You can get it at Penzey’s. They have stores or you can get it online. I put it in all of my Mexican dishes. It’s awesome.